This apple pie is sure to be a hit with your family—who doesn’t like a warm slice of apple pie with a little scoop of ice cream to top it off? The nice thing about this recipe is you can choose to fully bake the pie and freeze it (just thaw and serve), or, prepare it and freeze unbaked for a later time—just remove pie from freezer and bake for a quick dessert (this is my favorite way of doing it). 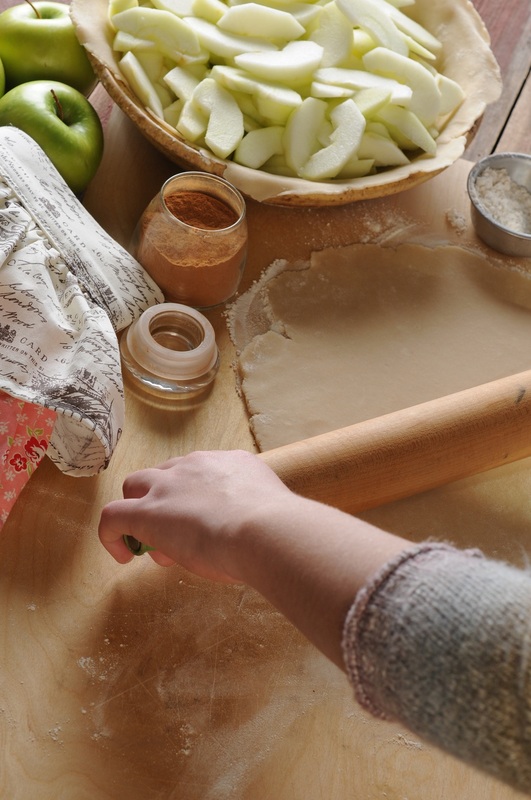 There is something about the aroma of a fresh baked apple pie wafting through my house when guests arrive. Preheat oven to 400°F. Place pastry in a 9 inch pie plate. Stir together all ingredients and place in crust. Cover with top crust. Bake 15 minutes. Remove from oven. Carefully wrap edge of pie with foil. Reduce oven temperature to 350° F. Continue baking 50 to 60 minutes until crust is brown and juice is bubbling out. Place a rimmed baking sheet on the rack below the pie to prevent the need to clean the oven after baking.